What are the legal and practical considerations of mixing firearms with painkillers? Recently I saw a comment on one of our articles about prescription drugs and carrying a gun and figured I'd add some thoughts, here. In a nutshell, the man wrote that he made the decision to temporarily not carry his firearm because he was prescribed painkillers for a broken collarbone. The man's comment, struck a nerve (no pun intended) in several ways, and it drove me to write this article. First, I can personally relate to the man who wrote the comment. I'll refer to him as ‘Marty.' 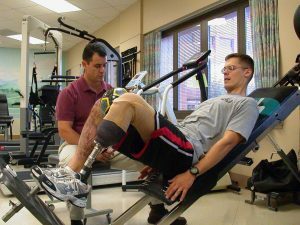 See, I suffer from chronic knee pain from an injury I sustained in 2000 while in the Marine Corps. I had a completely torn ACL and meniscus which required the doctor to construct a new one from my hamstring. Several follow-up surgeries to repair torn menisci in both my knees has left me with arthritis and constant pain. Unfortunately, like many other Americans, my doctor's solution was to prescribe me opioid painkillers. I won't use these medications and instead resort to alternative methods to deal with the pain. Some work better than others, but nothing takes the pain away. But, I know there are those with more severe pain than I have, and others who are addicted to these substances. My story is not unique. In fact, the National Survey on Drug Use and Health reported that in 2015, 92 million or 38% of Americans were prescribed an opioid painkiller. Estimates of concealed carry license holders in America are around 16 million, and the number of Americans who carry a firearm daily is probably higher due to the fact that some states do not require a license, and many states allow open carry. In other words, there is a high likelihood that you may be a legal gun carrier and prescribed an opioid painkiller. So, whats the big deal? There are really two considerations that come along with combining opioids and firearms. The first is a legal consideration: is it legal in my state to take painkillers and carry a firearm? The second is a practical consideration: is it wise to take painkillers and carry a firearm? 92 million Americans were prescribed opioid painkillers in 2015. 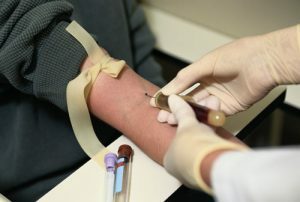 They have been overprescribed, however, there are some who legitimately need temporary use of these potent medicines. American gun laws vary widely from state to state, so if you are prescribed a medication like Oxycontin or Percocet and carry a firearm, it would behoove you to know exactly what the law is. States that have laws of prohibition usually include something such as ‘being under the influence, of the drug.' This would mean that some impairment would most likely need to be shown. The argument here is if someone is taking the drug at prescribed levels, it should not cause impairment. However, opioids can affect people differently at different times. And when combined with alcohol, other medications or even lack of sleep, impairment could be present even at a dosage where previously there was none. So it's a difficult area to navigate, legally speaking. There could also be legal implications in states that do not prohibit taking these medications while possessing a firearm. For example, any thorough investigation into a defensive gun use will include a toxicology analysis of the person(s) involved in the shooting. Any prescribed or illicit drugs or alcohol found in the shooter's system will absolutely be brought up in court. Will it result in a negative outcome? That is impossible to answer, but without a doubt, it is a fact of the case, and it will be considered. 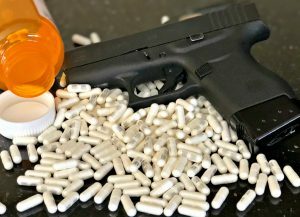 This Ohio law pertaining to possession of a firearm while ‘under the influence' can leave a gray area for law-abiding concealed carriers who take prescription painkillers. Let's strip out any legal argument for a moment and just look at if it makes sense to combine the two. The obvious consideration is that even if the medication does not cause the legal definition of impairment, there is a dulling of the senses that occur with these medications. This is where the two sides of the same coin are debated. The first argument would say that because the senses are dulled, situational awareness is diminished and your judgment potentially is, as well. For these people, that is a good reason not to combine the two. The other side of that argument is that, because my senses are dulled I am less able to defend myself. I am a ‘softer target' and therefore I have even more reason to carry a firearm. I have seen the argument that some people don't feel any different when they are on the medication. In fact, they feel like not being on the medication causes them to be more focused on the pain than on their situational awareness. So they might argue that being on the medication actually ‘improves' their overall well being and carrying a firearm is not an issue. A thorough defensive gun use investigation will likely include a blood draw and toxicology report on the people involved. Beneficial or not, levels of opioids will be part of the evidence presented. Like many of you, I have willfully taken the role of being the first line of defense for my family and me, inside or outside the home. I find the mind to be the most powerful weapon we have. It allows us to sense danger, respond appropriately and adapt quickly to a changing threat. For this reason, I do not like to diminish my awareness with medications or alcohol. When I have taken prescribed painkillers, I felt out of sorts, even under the prescribed dosage. So again for me, I choose not to mix the two. 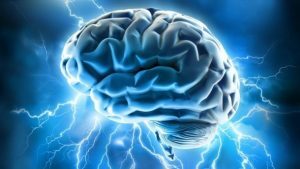 A clear and focused brain is one of our greatest tools for survival. Sure, there are times when opioid painkilling medicines are necessary. And I am in no way whatsoever condemning people for drinking alcohol. ‘My Two Cents on the Matter' is explaining my personal rationale for not mixing painkillers and firearms. If you have been at similar crossroads, I hope this will help you establish your own rationale on the issue. Depending on your relationship and trust in your doctor, a discussion on the topic may help. Is it okay to take these medications and carry a firearm? I've given you my take on this topic, I would love to hear what you think. Stay safe and God bless. Want a FREE downloadable Gun Attorney Interview Checklist? Great article. I recently wrestled with this myself, and my personal decision was to not carry while taking short term prescription of pain killers. My decision was based on multiple factors: I did not feel I had total cognitive awareness or physical/situational control; I did not feel comfortable driving a car, so why would I carry? ; and, IF I found myself in a situation where I felt my life was threatened, if everything didn’t line up in my favor with witnesses, police, etc., would my RX pain killer put ME behind bars? One instance in which painkillers would not affect you is when you’ve been on said painkillers, at the same level and dosage for many years. I do everything else a normal person would. But the painkillers barely work at all anymore. Granted, if I stop, i wouldn’t be able to get out of bed. But they have no affect on my judgment, ability to drive, etc. I’m not on a very high dosage, by any means, and I do not stray from my doctors instructions. Unless I take less. As when on long trips, where I’m not moving much.